Mangoes are an excellent nutritional source, containing an abundance of vitamins, minerals and antioxidants - calcium, potassium, vitamin A, E and C and several B vitamins. Many studies have shown the health-promoting benefits of mango. 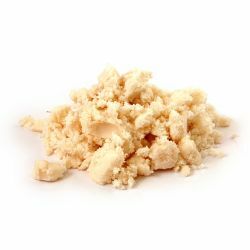 We use mango butter in our You’ve Been Mangoed luxury bath melt. Its moisturising action helps to soften the skin as you soak in the hot water. Each Peach (And Two’s A Pair) massage bar contains the butter to keep skin supple and soft.